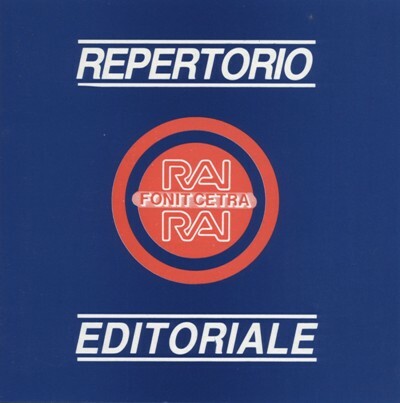 Note: All tracks composed and directed by Antonio Sechi and Stefano Torossi. Arranged by Sechi. 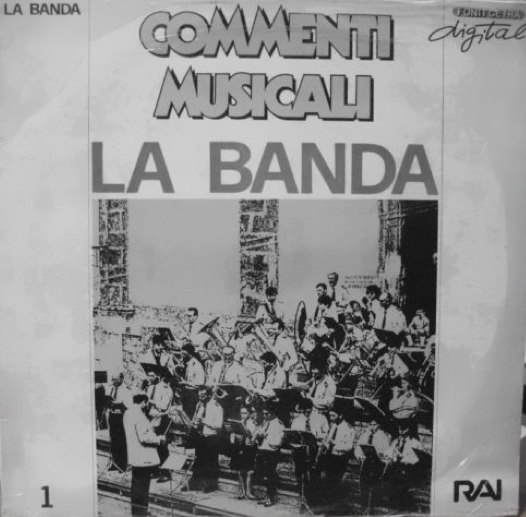 Musical collaboration with Luciano Dell’Aquila. 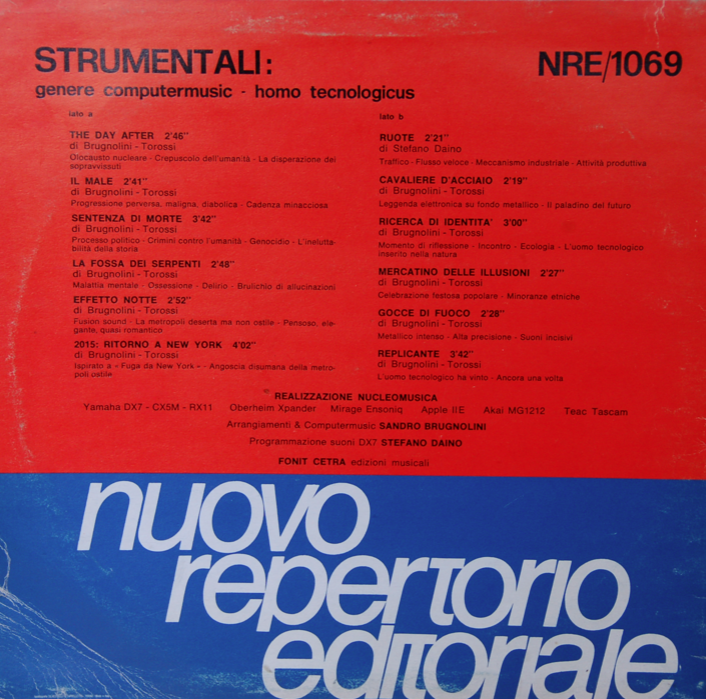 Note: Computer music programmed and arranged by Sandro Brugnolini. 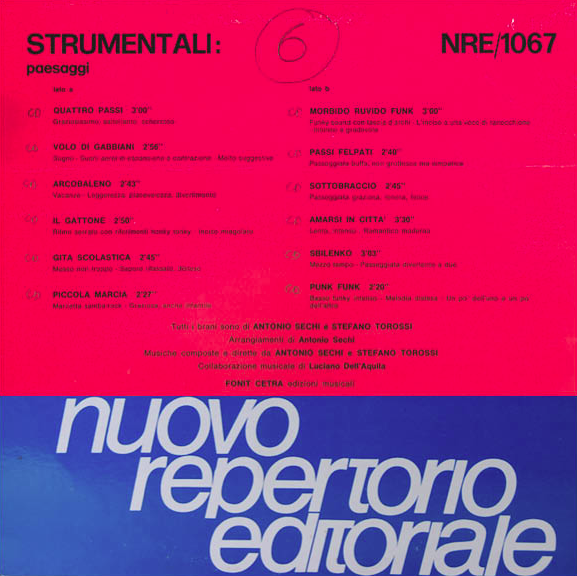 DX7 programmed by Stefano Daino. 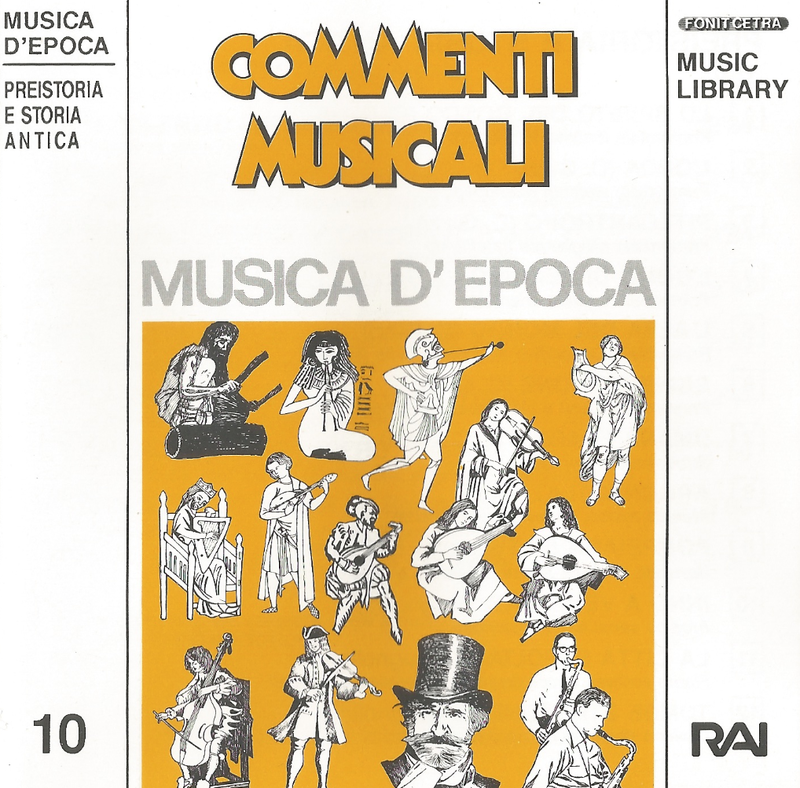 Note: Music performed by composers. 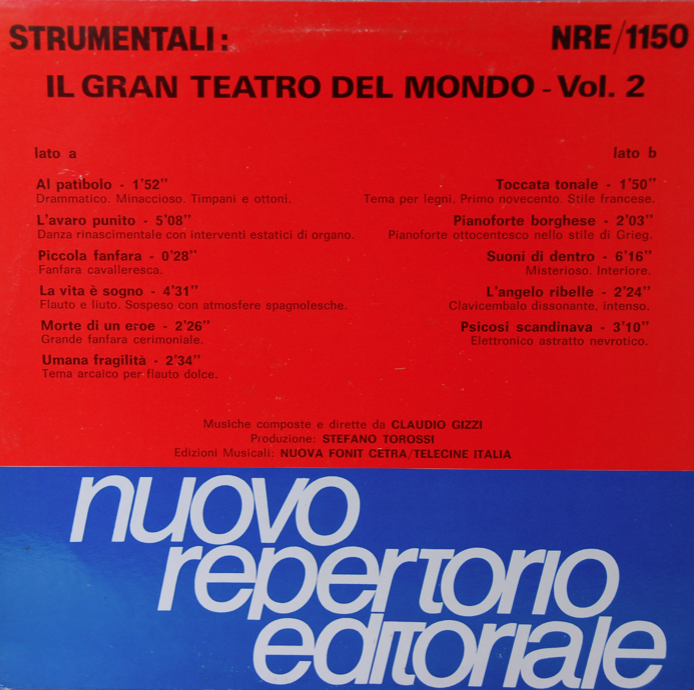 Album produced by Stefano Torossi. 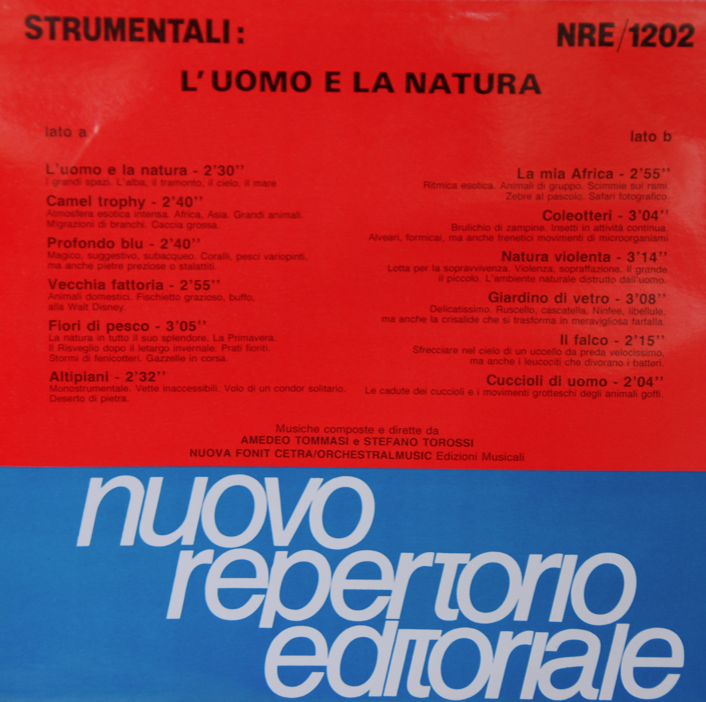 Note: All tracks composed by Claudio Maioli. 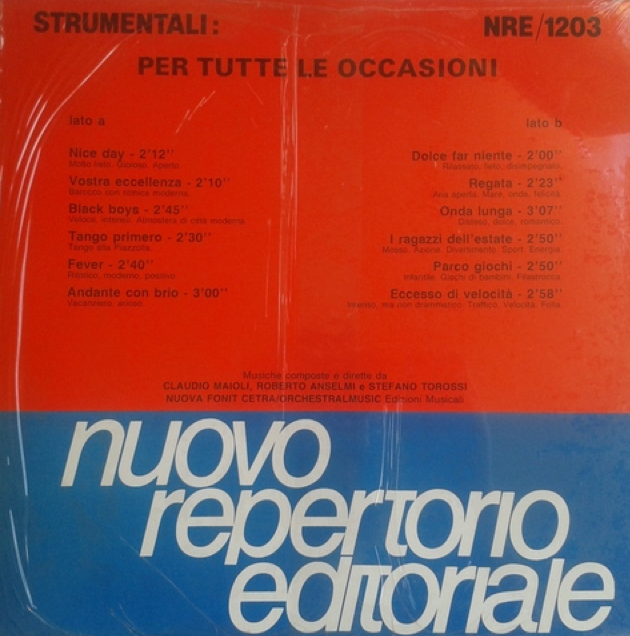 Album produced by Stefano Torossi. 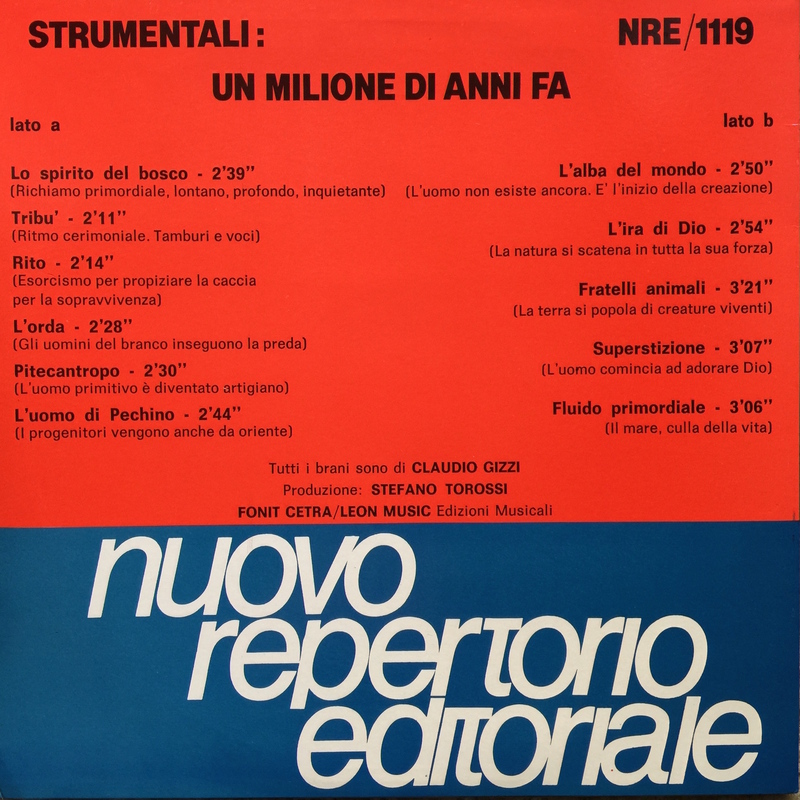 Note: All tracks composed by Claudio Maioli except “Parade” by Antonio Sechi. Album produced by Stefano Torossi. 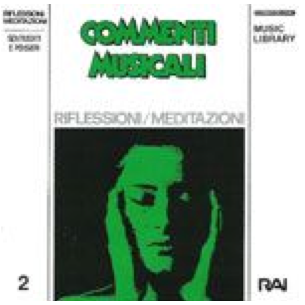 Note: All tracks composed by Melodicon (aka Stefano Torossi). 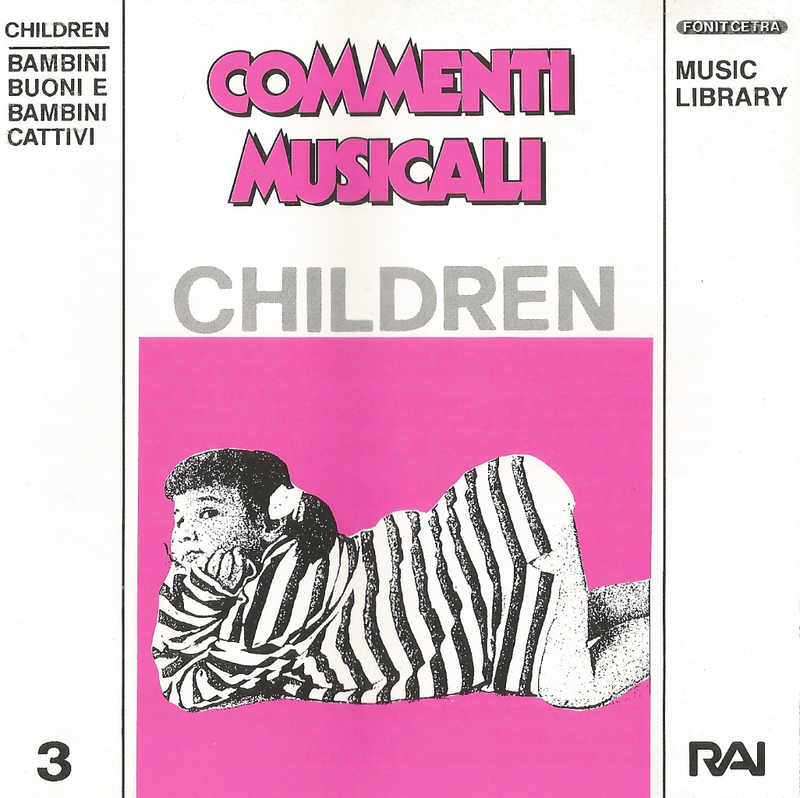 Album produced by Stefano Torossi. 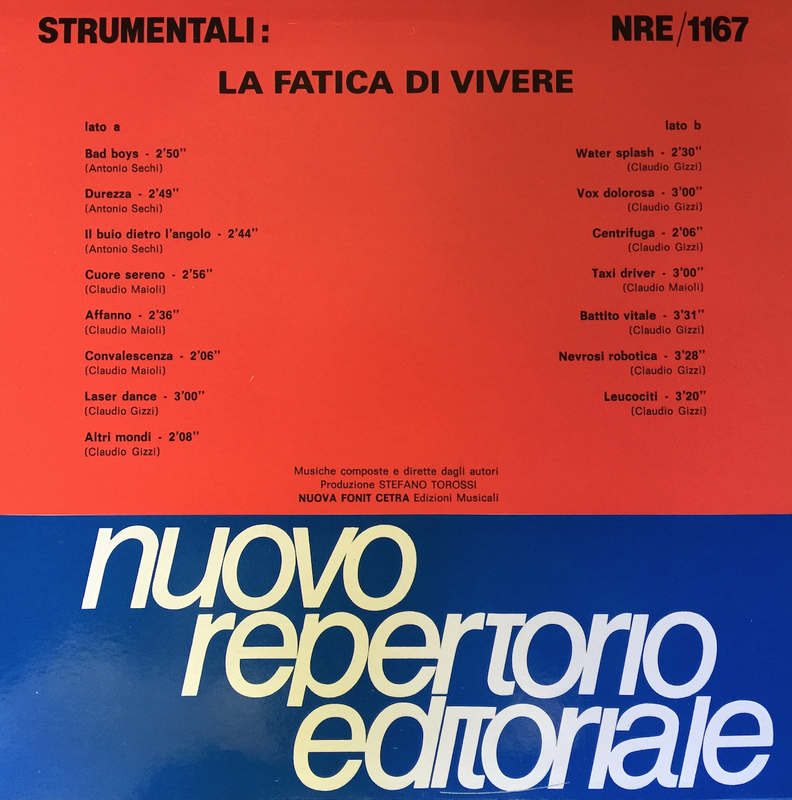 Note: All tracks composed by Antonio Sechi and Stefano Torossi. 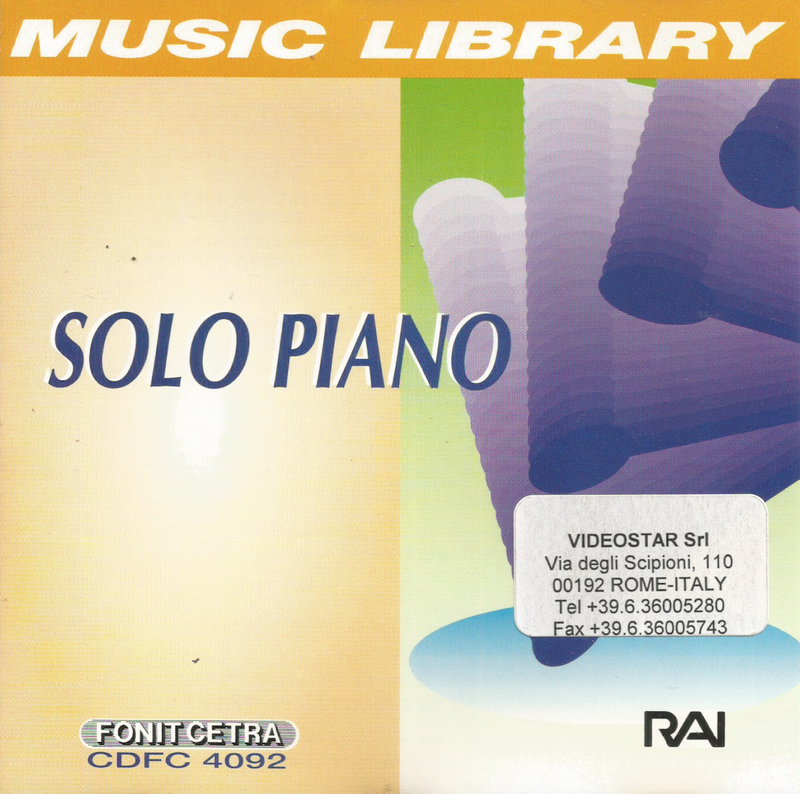 Sechi also plays piano on each track. 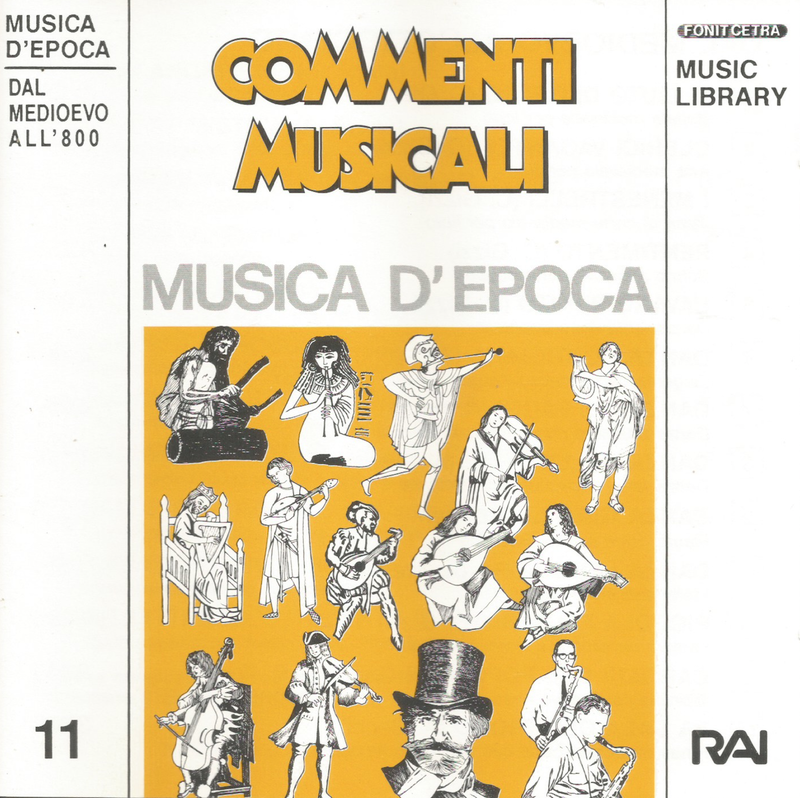 Note: Music composed and directed by Luciano Dell’Aquila, produced by Stefano Torossi. 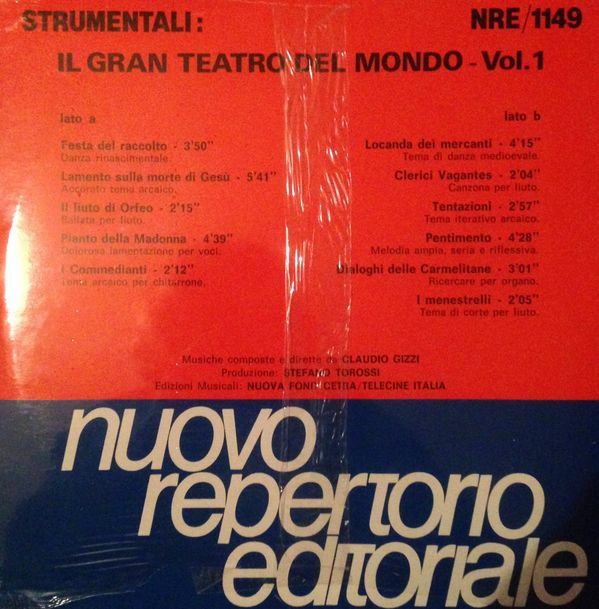 This rare LP appears on auction sites such as eBay Worldwide every now and then. 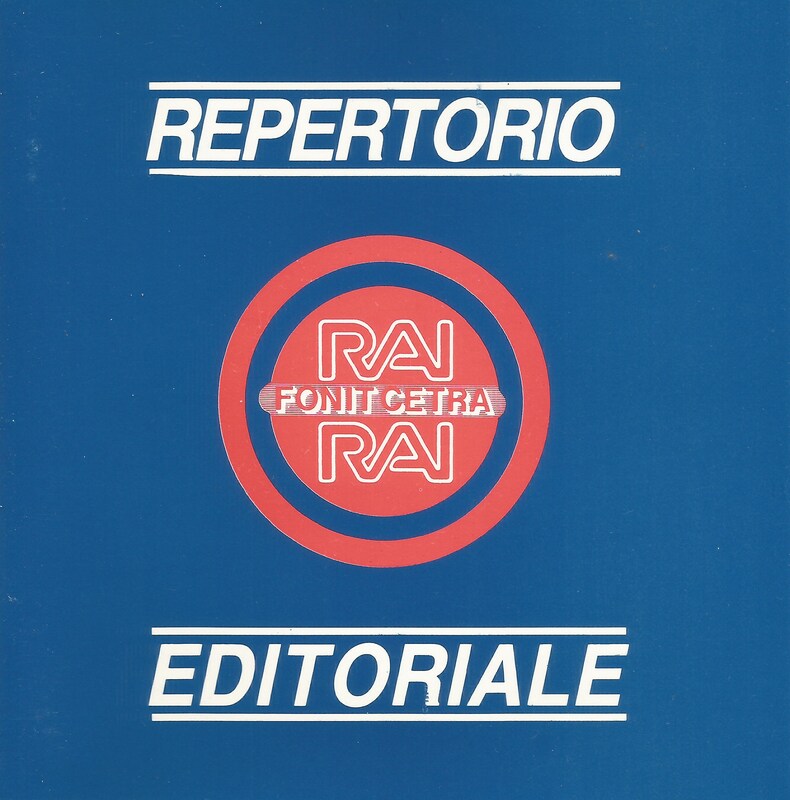 Note: Produced by Stefano Torossi. This LP appears on auction sites now and then. 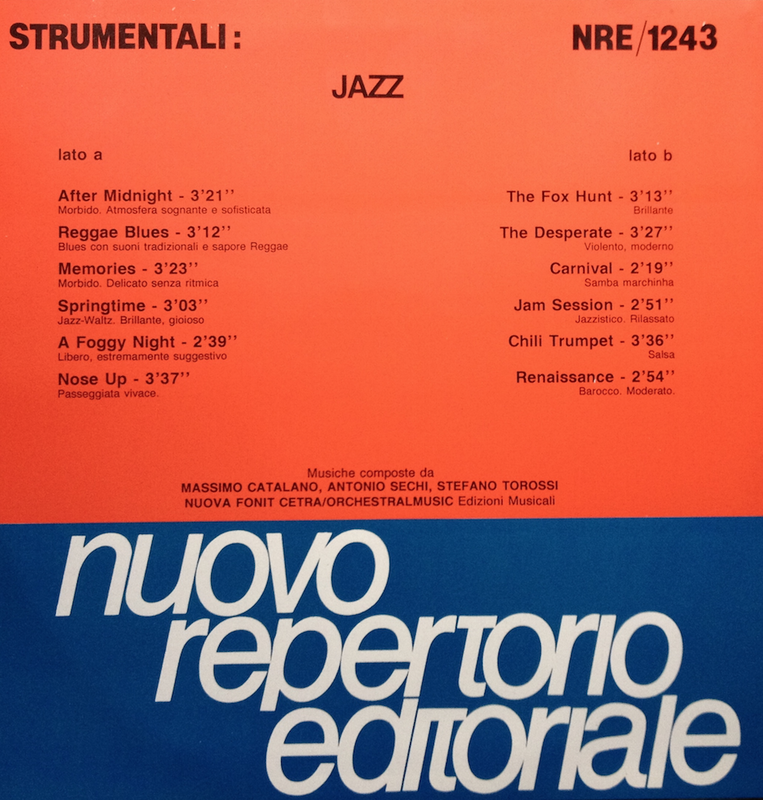 Note: All tracks composed and directed by Amedeo Tommasi and Stefano Torossi. Note: All tracks composed and directed by Roberto Anselmi, Claudio Maioli, and Stefano Torossi. This LP is quite rare. 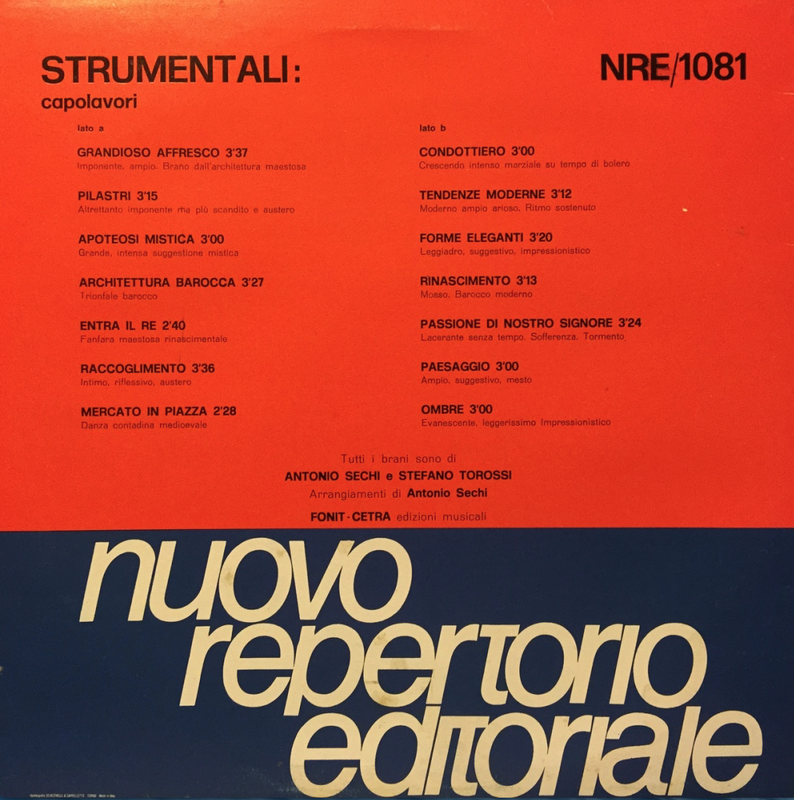 Note: All tracks composed by Massimo Catalano, Antonio Sechi, and Stefano Torossi. Note: All tracks composed by Amedeo Tommasi and Stefano Torossi. 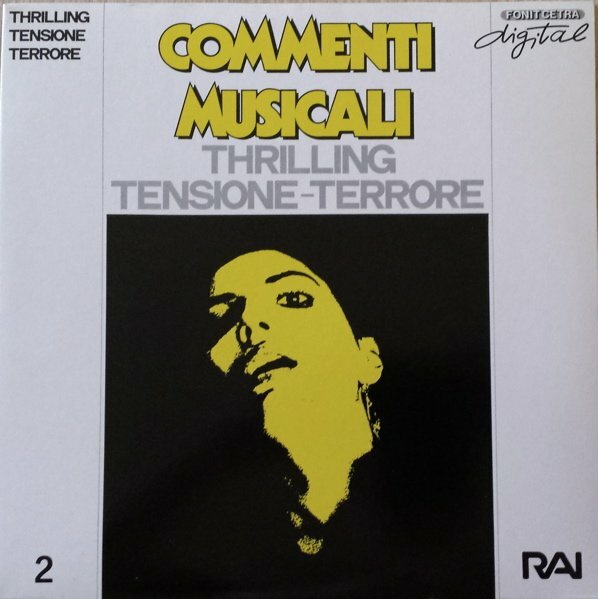 The identical album was also released by Costanza Records in 1986 under the title Musica Per Commenti Sonori (CO 8601). Note: This album, also known as Feelings, is also available as a Download from iTunes. 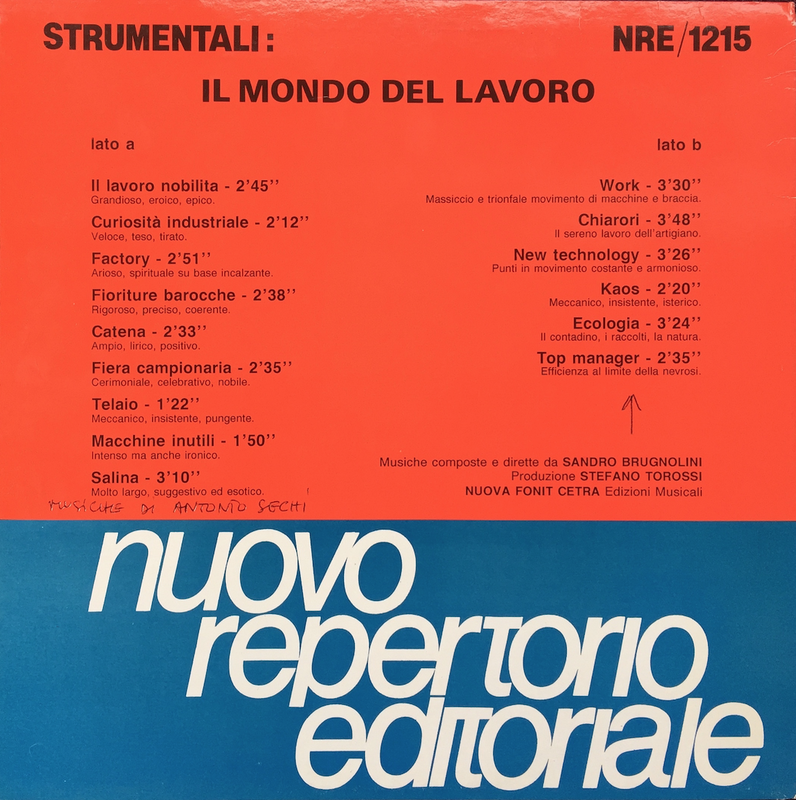 In 2016, it was reissued in vinyl and CD by Schema. 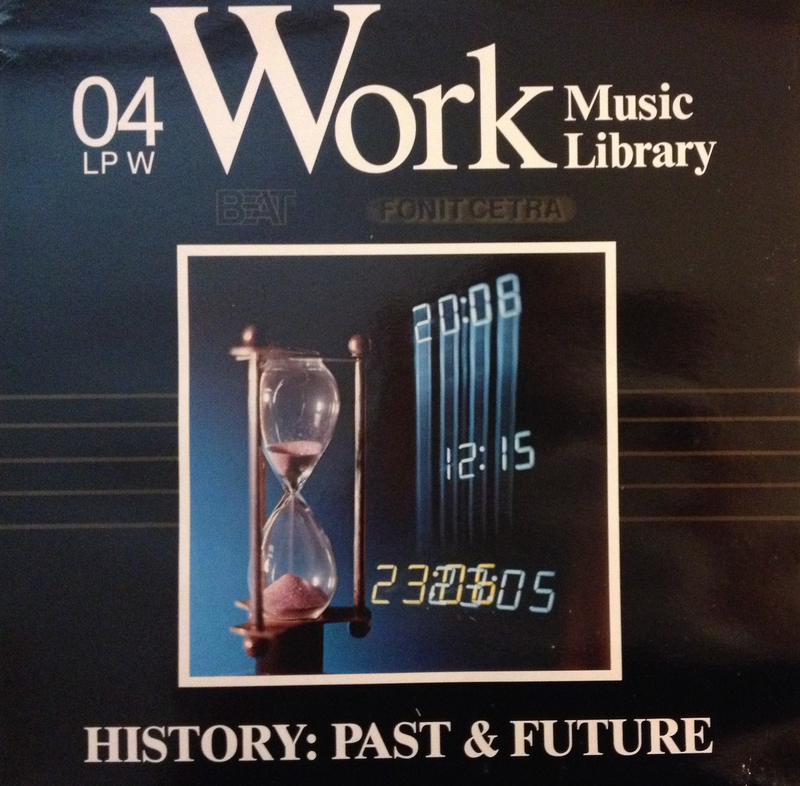 This LP appears on auction sites such as eBay on a regular basis. 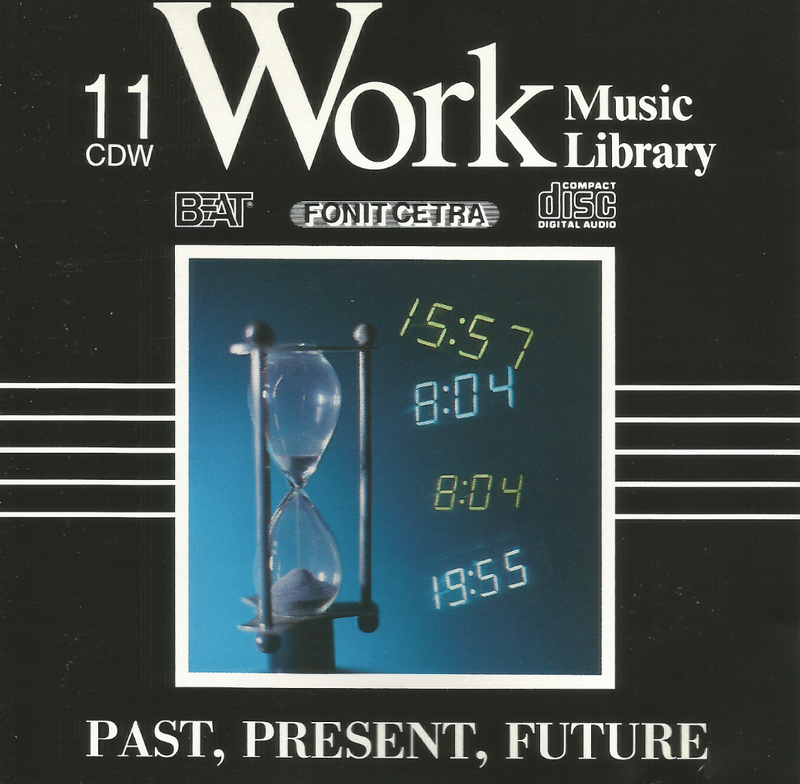 The 1992 Work Music Library: Past, Present, Future CD includes the full album, in addition to eight more tracks, all produced by Stefano Torossi. 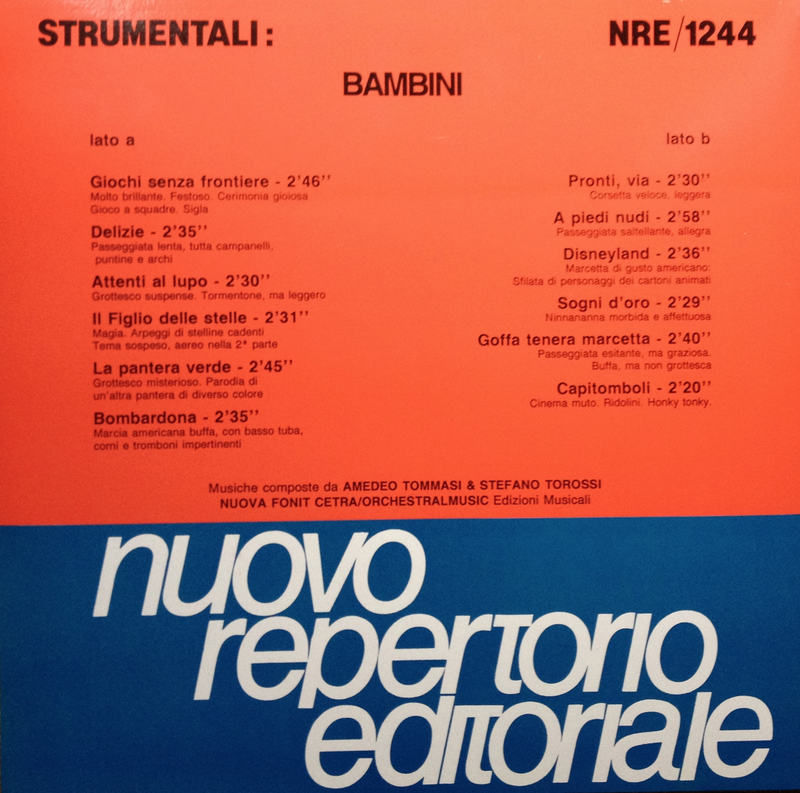 Note: Album produced by Stefano Torossi. 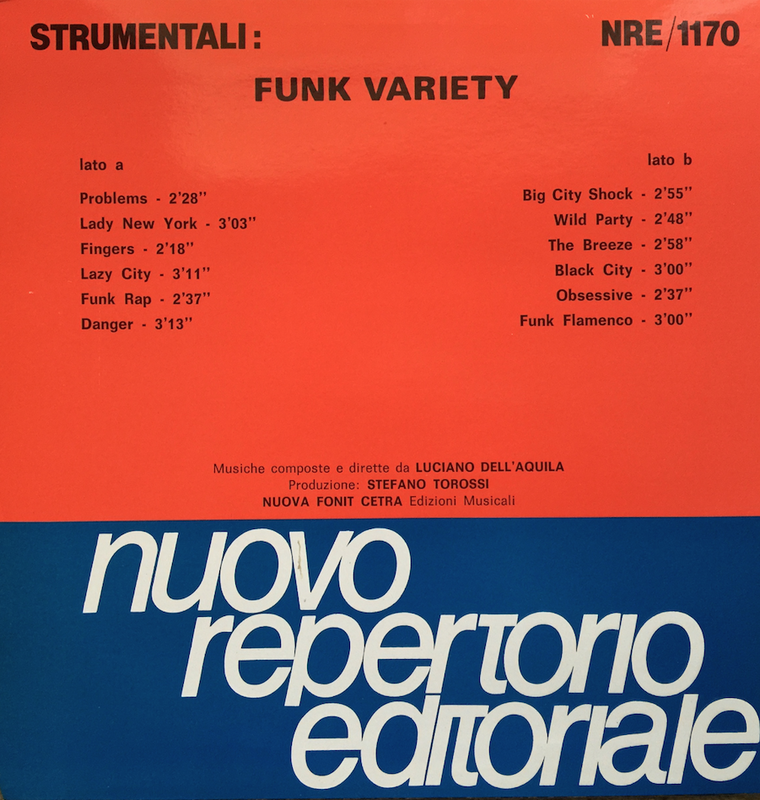 LP reissued in 2016 by Contempo Records. This appears at auction sites now and then. 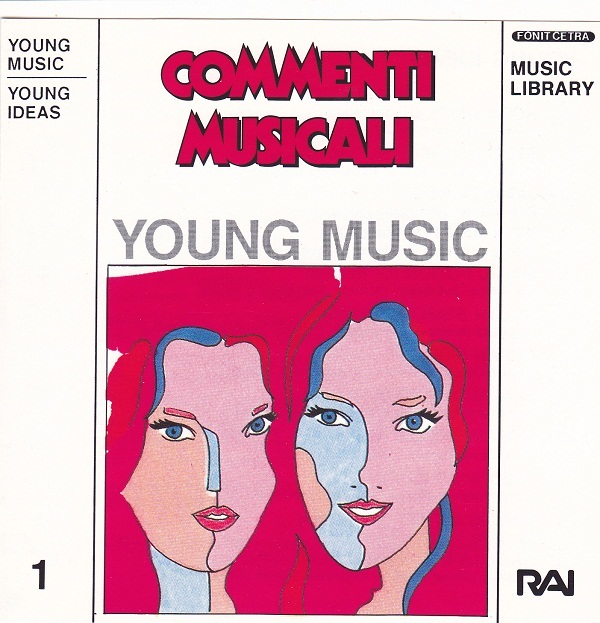 Note: Music composed and directed by Amedeo Tommasi. 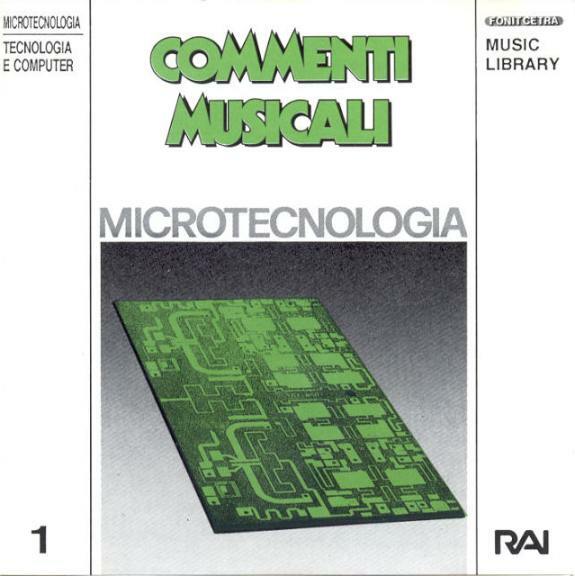 Album produced by Stefano Torossi, who is credited for compositions with Tommasi on their original 1986 Costanza Records’ Musica per commenti sonori: Tecnologia elettronica LP which are also tracks 11 through 22 of the Commenti musicali: Microtecnologia – tecnologia e Computer expanded CD reissue. 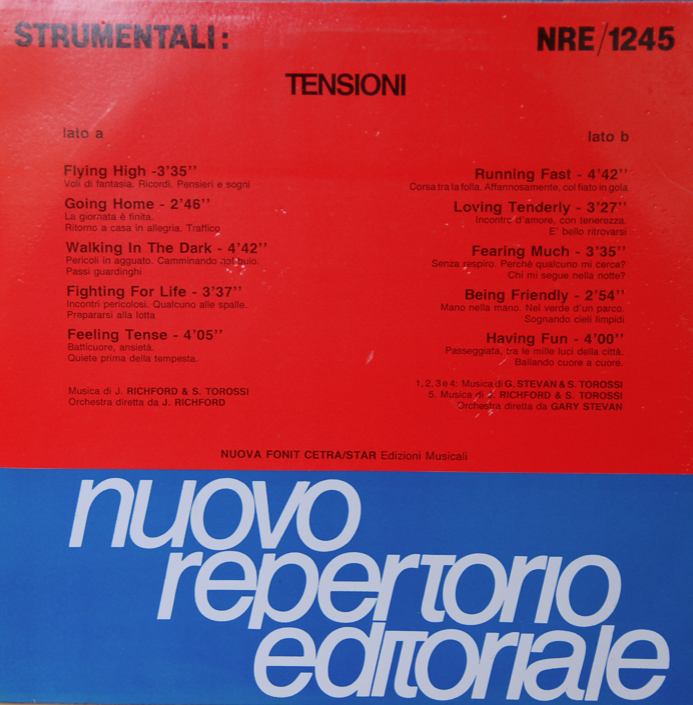 Note: Tracks 15-23, composed by Sandro Brugnolini, Giancarlo Gazzani, Puccio Roelens, and Stefano Torossi, originally appeared on Feelings in 1974. 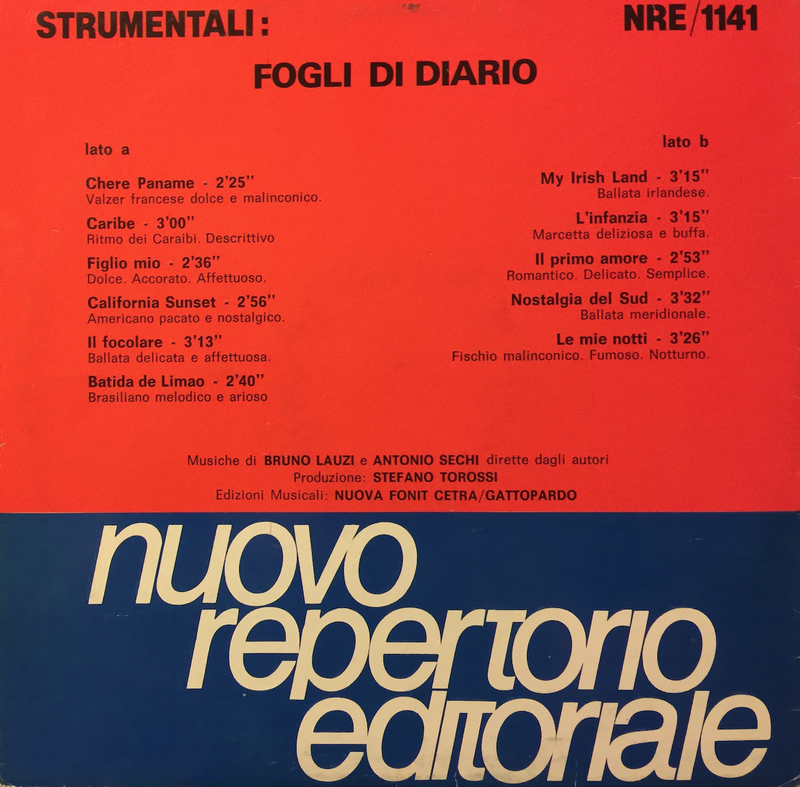 Tracks 1-14 composed by Giancarlo Gazzani and produced by Stefano Torossi. 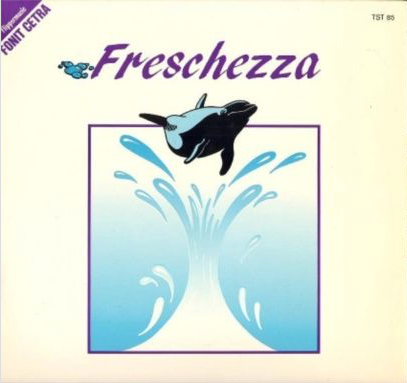 This CD appears on auction site now and then. Note: Music performed by the Bad Boys. 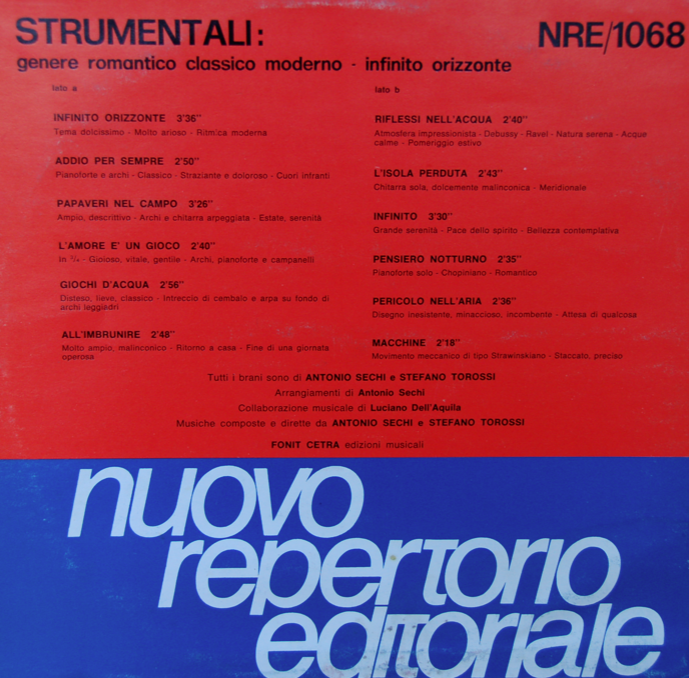 Album produced by Stefano Torossi. Note: Music performed by Nautilus. 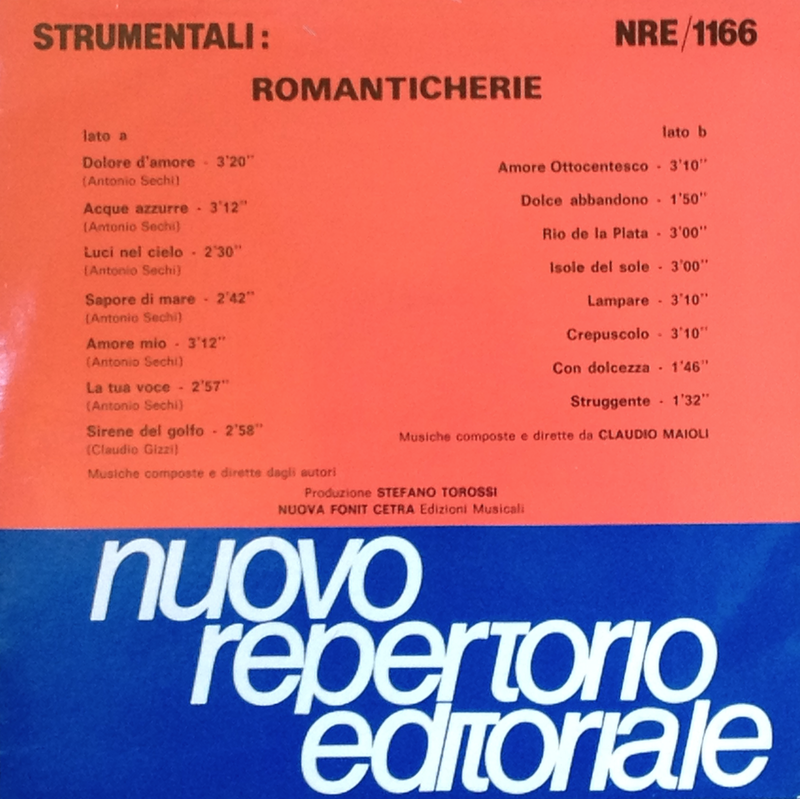 Album produced by Stefano Torossi. 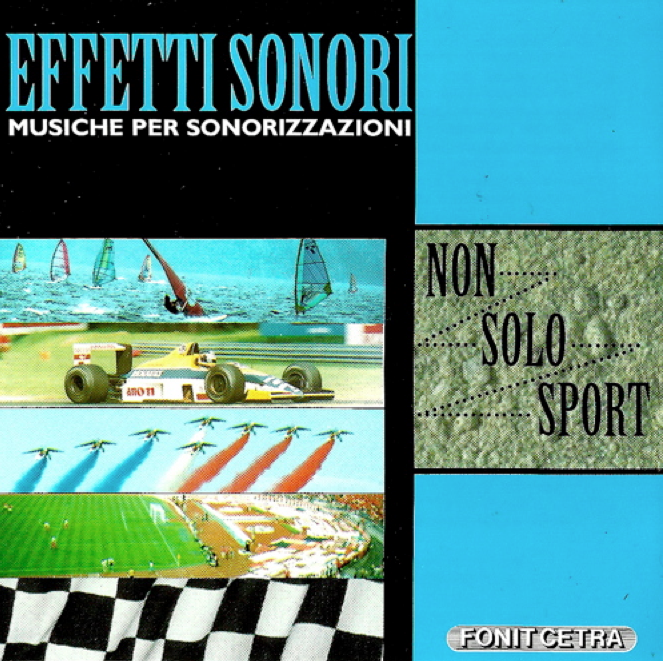 Note: All tracks composed by Antonio Sechi. 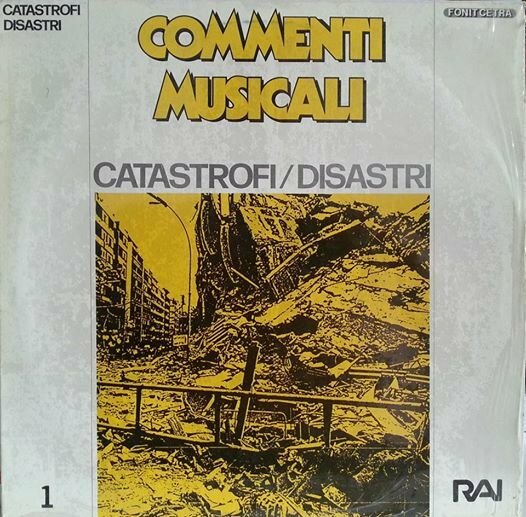 Album produced by Stefano Torossi. 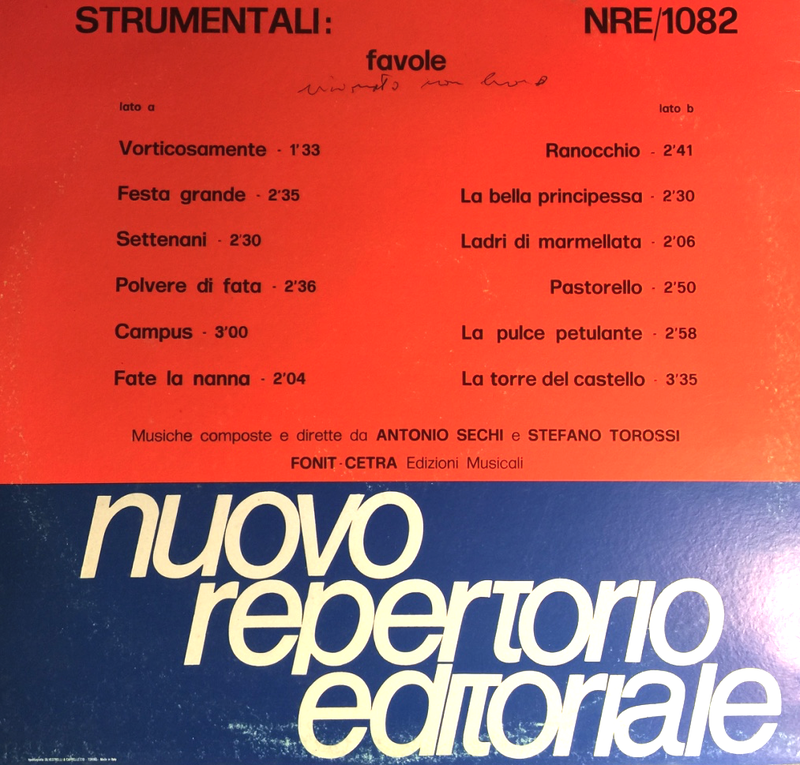 Album produced by Stefano Torossi.